Gentle Aloe Vera foaming cleanser and facial conditioner. Neutralizes the drying effects of water with essential oils and protectants to restore balance. Purifies skin. Tightens pores. Fragrance Free Cleansing Lotion meets the unique requirements of highly sensitive, easily irritated skin. Gentle cleanses the skin, and at the same time applies a healing nature to skin. Anti-inflammatory, Antimicrobial, and soothing properties. For oily/sensitive/normal skin; a non-oily, gently penetrating cleanser which frees pores of old debris while maintaining the all-important moisture balance of the skin... like a breath of fresh air for your skin! For those who would like to indulge in a tonifying spa experience. Once you incorporate a toner into your daily facile regime, you will never stop. Toners help to clarify any residuals left behind in addition to helping to decrease pore size and lift the skin leaving behind a clean and refreshed face. Helps to normalize hydration level of the skin's uppermost layers with natural astringents of Rosemary and Sage. Beautiful Moroccan Rose essential oils make this product one of our most popular day spa items. It is particularly good for all skin types including sensitive and maturing skin. Reveal your inner beauty with our natural Glycolic Acid Blend formula. Glycolic acids have long been shown to promote rapid change in rough, listless skin by encouraging the rate of cellular turnover which can bring the appearance of smoother, younger looking skin, reduced pore size, and gives a blushed, healthy glow. Offering full spectrum UVA/UVB sun protection with a SPF of 30+. Safe for adults and children. Titanium Dioxide Free. Anytime is Perfecting Time with this feather light and sheer moisturizer - it's even perfect for those usually squeamish about using a moisturizer! DeVita's oil-free SeruGel will quench your thirsty skin cells by helping to deliver maximum amounts of Hyaluronic Acid (65% solution!) to the skin using our unique Organic Aloe Vera delivery system. Helps to revitalize and restore that taunt feel, and youthful glow - go on, discover your own rejuvenation! Dr. Perricone made famous his combination of DMAE and Alpha Lipoic Acid product. This premier cosmeceutical product is a revolutionary combination of these ingredients PLUS active amino peptides, anti-oxidants, nutrients, enzymes, and carriers creating this powerful free radical neutralizer at a very affordable price. Logona Fragrance Free Hypo Allergenic Moisture Cream meets the unique requirements of highly sensitive, easily irritated skin. It helps restore a more supple texture and a well cared-for appearance. Helps reduce the appearance of fine lines and wrinkles, age spots and redness while helping to repair sun damage. This is a soothing cream, formulated for normal to oily skin, that balances oil control with light skin hydration. In many cases, dark circles under the eyes are result (inherited or not) of inadequate circulation to these fine and delicate tissues. 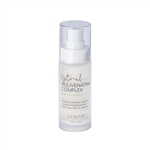 Devita offers the latest in cosmeceutical technology in this under eye complex formulation containing Hesperiden for increased miniaturization and Astaxanthin, a powerful new anti-oxident breakthrough and an highest allowable and effective level of Vitamin K to assist in bringing circulation to the area. Firm the skin around your eyes and throat with Real Purity’s Eye & Throat Crème. An all-natural treatment that lightly moisturizes, tones and firms, this eye and throat cream leaves you younger-looking skin that is soft and supple. This versatile nighttime moisturizer can also be used during the day to help with extra thirsty skin, or as a more hydrating anytime moisturizer. Reduces fine lines and wrinkles and helps heal sun damaged skin while providing maximum moisture, protection and rejuvenation. Reduce the appearance of skin discoloration and find your bright and beautiful self without chemical bleaches. Uses all natural Kojic Acid, Arbutin, Emblica Fruit Extract, and Uva Ursi Extract to break of melanin. Effective on all skin types which need help from chemical peels, age spots, sun spots and other types of hyperpigmentation. Anti-inflammatory, caffeine rich green tea and coffee de-puffs and while increasing circulation to brighten dark circles. A waterless cleanser which is best suited for normal to dry or sensitive skin. Gently removes daily grime and residue without using water or suds. Removes most make-up - may require two applications to remove heavier eye make-up. This pure vegetable soap is enhanced with shea butter and coconut oil. Smooth skin and a blemish-free face may seem like a goal that cannot be achieved without the use of chemical-based skincare products. Fortunately, Natural Solutions offers a range of healthy skin care products that are different from conventional products. We offer organic, gluten-free and vegan skincare options to meet the needs of our customers. Selections that are GMO-free and organic offer a solution for people who have decided to live an all-natural lifestyle. Buyers who are concerned about the welfare of animals will be happy to know that we offer cruelty free skin care products which are not tested on animals, and many of these products have been verified as animal-safe by PETA. Our skincare products are free of parabens, mineral oils, sodium lauryl sulfate, synthetic perfumes, and synthetic fillers. Our goal as a company that offers all natural skin care products is to provide customers with a wide selection of facial cleaners, masks, scrubs and acne control options.